There is a price for everything. For the simple pleasure of watching the Jays drill acorns into my front lawn, I now have to pull out all the little seedlings that made it through the winter and germinated into little oaks. 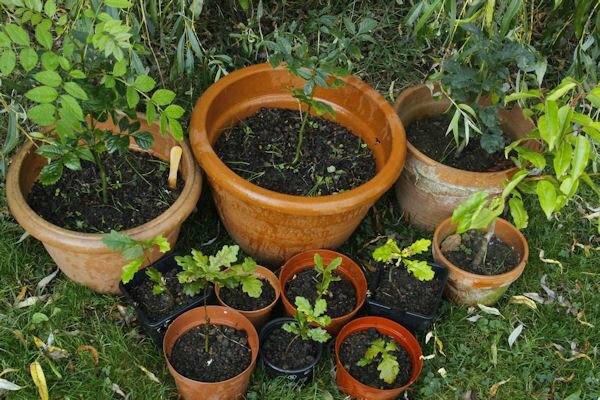 Some of the seedlings have been saved for re-planting you will be pleased to know and I am considering leaving the lawn to revert to oak forest, which shouldn’t take too long if the Jays have their way. They store acorns in crevices and drill them into perfectly manicured lawns in preparation for winter, but last winter was mild and the food supply plentiful, so the acorns were not needed. Even during harsh winters, the Jays, intelligent though they may be, miss a few which then germinate during the next spring. 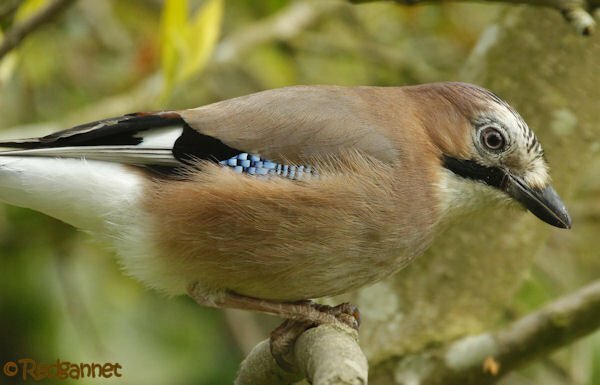 This is the Eurasian Jay (Garrulus glandarius) of which we speak. In the best of lights and through the eyes of a 7-year-old girl, one could believe that they are pink. The less dreamy field guides prefer pinkish, grey-brown. The erectile crest and characteristic blue wing panel, suggests that they are closely related to the North American, Blue Jay, but they do not share a genus. 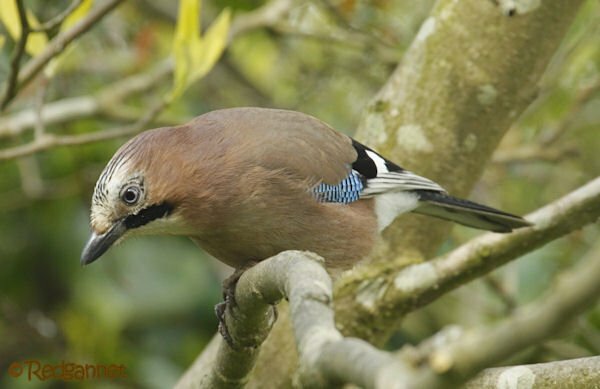 And while the Blue Jay may have 4 forms across North America, the Eurasian Jay could lay claim to 40, from Scotland to Morocco to the Japanese Islands. 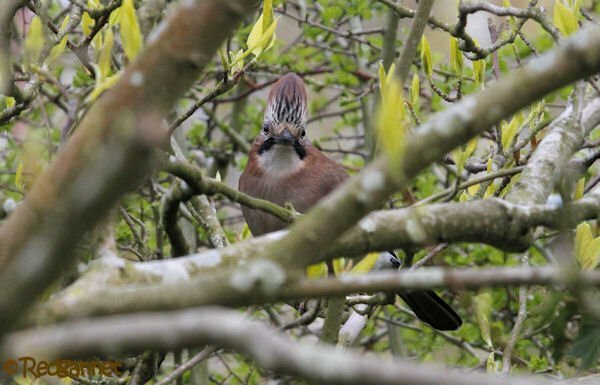 Perhaps we should all be slightly less vigilant with our lawn-keeping and let the Jays reforest the Palearctic. And perhaps I should look upon pulling up seedlings as less of a chore and more as stock-collecting for re-planting. What a beautiful jay! Great photos, too.